First Jump: October 2006 in Hanover, PA out of a rusty Cessna. Little Known Fact: Rennay was a cheerleader, and is a badass alto saxophone player. Rennay grew up a tomboy in Pottsville, PA and Maine. When she wasn’t climbing trees with the boys, she was dreaming of the sky and of becoming a pilot, just like her father. He was a big inpiration behind her skydiving. Anyone who knows Rennay knows that she is just a wellspring of life and happiness, her natural caring spirit is so contagious. She has definitely become a second mom to everyone at CK. So what sparked her interest in skydiving? Rennay always loved speed, and is a true thrill seeker. One of her favorite experiences besides skydiving was a ride in an Albatros fighter jet, pulling over 4g. Talk about conquering new heights! 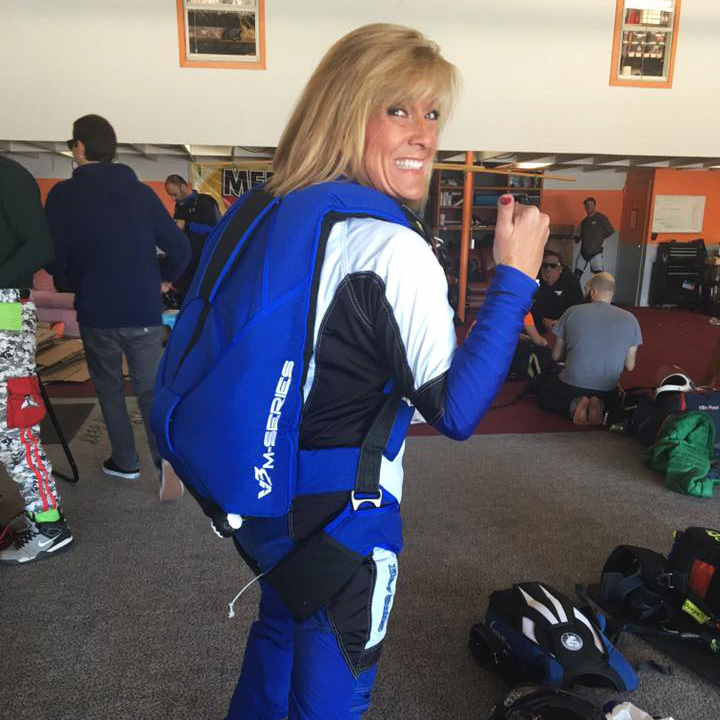 Rennay started jumping regularly at Skydive Baltimore, which is a tandem only dropzone. She got referred to Cross Keys to pursue her skydiving license. (We will forever be grateful to the person who sent her here!) Rennay had to overcome a lot throughout her student progression. It took her 4 seasons to finally get her "A" license, but nothing was going to stop her determination to jump. This crazy grandma (Yup! She's a hot grandma to an adorable one year old boy "Tater") travels ALL the time. Work or fun, she never sits still and is often spotted in the Carribean, or hopping coast to coast. This past year she and her husband renewed their vows in Antigua. 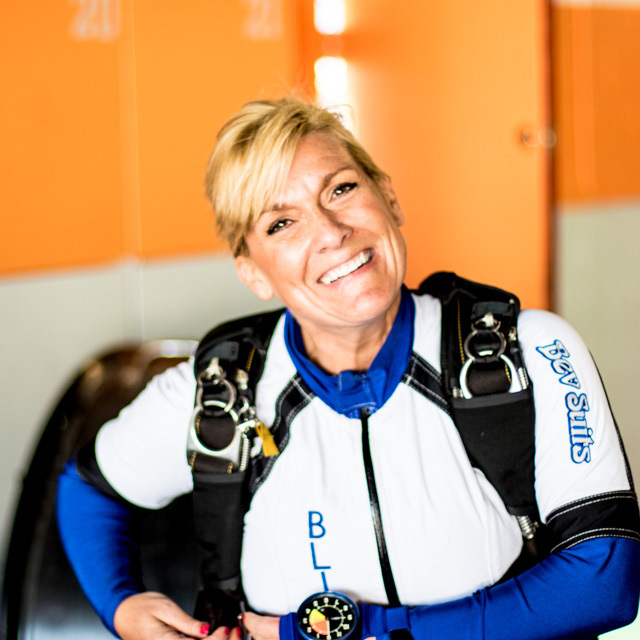 Then Rennay hopped on a trip to Aruba, where she completed another unforgettable tandem skydive. How she keeps finding herself at all these tandem only drop zones might always remain a mystery, but we are always happy to see her come back to Cross Keys. One of Rennay’s favorite jumps was with a fellow "fun fun" jumper Eddie. This was her first stand up landing EVER, and don’t worry, she bought her beer for that! Eddie caught the action on camera, and Rennay couldn't contain her tears of happiness. Now if that isn't pure love and passion for this sport, then we don’t know what is! Rennay conquered her fears and so many obstacles to get where she is now. Nothing will stop this powerhouse of a woman! Her best advice to all of us is to not let any fears prevent us from living life to the fullest!